use rose shades of red and /or pink. You may also use green leaf colours, black, white or cream and realistic colours for skin, fur and hair. Yes, I actually got out my copics and used 3 shades to colour my flower. This is a boxed bloom from STAMPlorations. I haven't coloured for a while and am not so good at it but I did enjoy making this and do find colouring and blending relaxing. For this challenge we are joined by the very creative and innovative Jill. She creates amazing cards and if you don't know Jill pop over to her blog My Life In Paper and you will be inspired. Don't forget to check out what our DT have created for you here and then get stamping! I will enter this into CASology-Birthday. Beautiful Sandie...love the fabulous detail on that stamp! I don't know why you say you're not very good at it - the colouring is beautiful. You've picked lovely shades of pink. I so love the boxed blooms, but haven't given them enough love! You've inspired me to do so with your fabulous card. Your colouring...oh my! I think it's amazing! Sandie, I adore that daisy always wanted it, never have gotten it... gorgeous in pink!!! I will never be a coloring expert either, but I still enjoy it. Like you say, it's quite relaxing. The end result is beautiful, I love the delicate colors and clean design. This is so pretty and feminine! Great design/ placement on this one. Your coloring on the image is wonderful. Oh, this is so pretty and what a beautiful, soft colour you used. I think your colouring always looks amazing but know what its like when you don't feel confident about it. 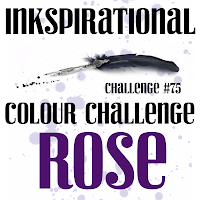 I'm not very confident with colouring or floral stamps either, so this will be a good challenge for me!! Oh I love the stamp and what a great choice of colors - beautiful. Love the way you have framed this beautifully coloured gerbera. There is a lot fa work in this elegant and beautiful CAS card. Thanks SO much for joining us at CASology this week! Sandie, this is really beautiful!!! 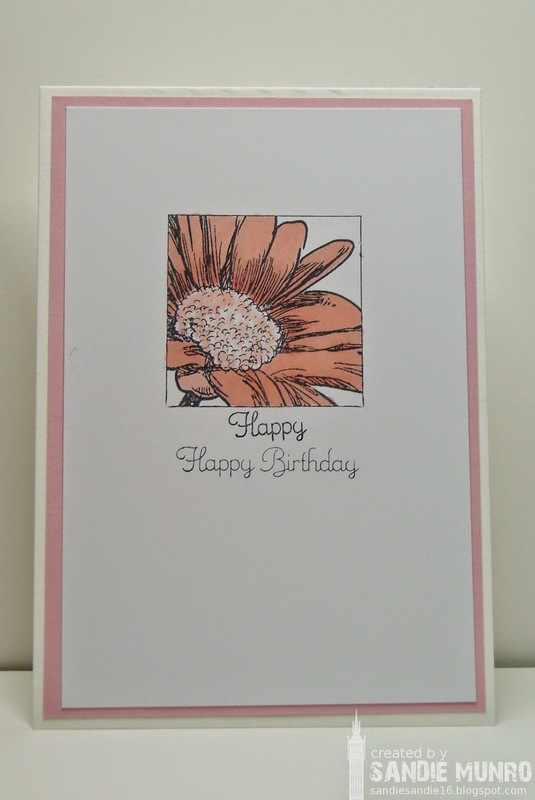 Classy and chic card ... must join the ink challenge soon. SMITTEN, love your pretty in pink!! Thanks for joining us this week at CASology so glad that you did- Please stop by tomorrow too, we have another great one for you - and I hope to see you join in too!!!!!! Love that stamp & your coloring is beautiful, Sandie! Just beautiful...I love your sweet flower and your coloring, just perfect. So pretty with the subtle rose colours and the fab colouring. I am always so impressed by you who can make copic colouring look so perfect. Beautiful flower Sandie! Your colouring is amazing!